A gorgeous print of: clouds, hot air balloons and planes. Flying High There are 7 products. "Our Plane party photo booth kit is a great way to celebrate in style and create memorable photos with your guests! Perfect for aeroplane enthusiasts. The vintage style design is super cute! There are 10 photo booth props per pack! Including clouds, pilots hat and a cute vintage red plane. 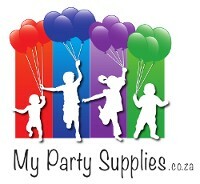 Delivery throughout South Africa. "Blue paper plates perfect for your party snacks and treats with the adorable flying high design! Perfect for birthday party's these plates will look great on your party tables as well as saving on mess! Each pack contains 8x paper plates with a gorgeous print of: clouds, hot air balloons and planes Delivery throughout South Africa.